Gantt charts are great for project management, but do you know all the essential Gantt chart skills for doing your projects? Just check out this article for the top list of points you should know and master. Gantt chart skills are needed in nearly every industry and filed from undertaking construction projects to develop new software. So, what specific Gantt chart skills do you need to run projects? Whether you are a new hand or experienced project manager, the following skills set would surely help you to effectively plan, procure and execute a project. Scope Management - This is about defining the project scope statement; identifying any changes of the current scope; generating work breakdown framework; creating a straightforward audit trail to inform all stakeholders etc. 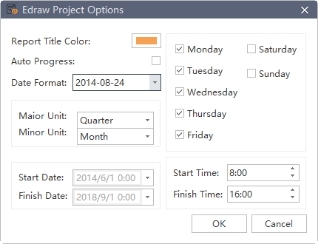 Task Management - Project managers should be able to create a top to-do task list to assist in prioritizing the project and following the updates of tasks. Meetings Management - This is about the skill of quickly sticking to the important agenda at an urgent point, and save time on unnecessary meetings. Moreover, for important meetings, project leaders should focus on the valuable aspects and highlight key problems so as to ensure everyone involved understand quickly and easily. Cost management is not only about putting together tax spreadsheet, but more about developing a budget management strategy based on a given fixed amount of working salary, material cost and so on as shown in Gantt charts to check where costs would mount and where expenditure could be cut. Project managers should have a solid understanding of financial and accounting knowledge in order to monitor the budgetary performance through the execution of a project. This section mainly refers to two categories: the management of the project team itself and the management of external partners (contract management). 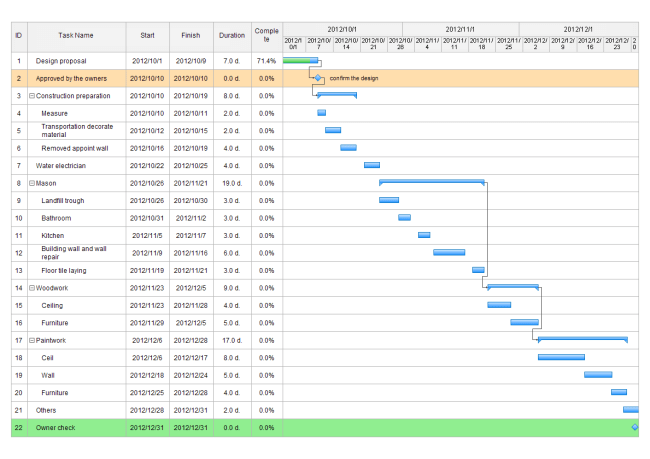 Managing within the Project Team - Gantt charts usually contains many task details so team leaders should have the ability to motivate and manage their members to boost team spirit while also monitoring delay in tasks or sloppy work. Such steps need both strategic and operational perspectives to set goals, coach staff, delegate responsibilities, resolve conflicts, and ensure that every team member has the resources they want. Furthermore, the ability to lead the team to overcome unexpected changes in a fast-paced environment or right before the deadline is also necessary. Contract Management - Nearly every project involves the management of suppliers or procurement for materials, equipment and so on. This may also require the coordination between financial department and legal teams. It is another crucial skill used in doing work with Gantt charts in both qualitative and quantitative forms. It mainly about predicts potential problems; set up backup plans if necessary; define and implement the best solution; oversee the implementation of the solution; weigh up both the strengths and weaknesses of a issue; identify any risks; uncover any variables to find out the root of the problem; By doing so, you can form an unbiased and impartial judgment without acting emotionally. Communications take a great part in creating Gantt charts, especially when you need to report progress to stakeholders, talk tasks details with teammates, or have a meeting with external vendors. In reality, large-scale projects may also involve different departments and employees with various knowledge and working background, so up-to-date and effective communication can keep everyone on the same page to avoid misunderstanding. Moreover, both verbal and written communication are essential in terms of doing projects, for example, newsletters, working emails, online conference, and social media channels etc. Overall, communication is a kind of relationship management that means build trust between the project team and your stakeholders. It is a type of communication, but with more technical parts. In reality, projects often brings conflict of interests. Negotiation, in this case, is more about bargaining for certain power and handle conflicts based on the existing scope as shown in the Gantt chart. It requires project leaders to appropriately find possible compromises and middle ground without breaking any relationships to make all parties involved feel they have got the best result. How to Create an Easy-to-Understand Gantt Chart? A handy yet professional Gantt chart software would help you a lot to do a series of basic and easy-to-follow operations like adding new tasks, setting milestones, assigning tasks, tracking the project progress and more. 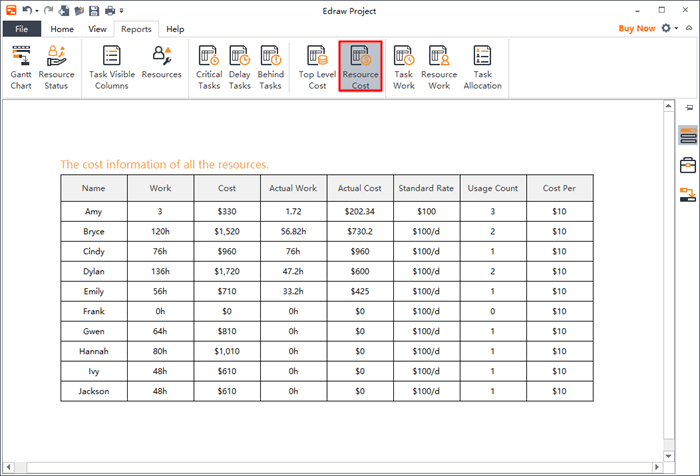 You can also manage cost and generate project reports with the free download version of the software. Feel free to have a try by clicking on the FREE DOWNLOAD button at the end of this page. See What is a Milestone in a Gantt Chart?